The second day of the 2019 Cayman Alternative Investment Summit picked up where the first day left off — with a discussion on technology and how it’s reshaping the world. Mark Yusko (Morgan Creek Capital Management) kicked off the conversation with his annual look “around the world” featuring 10 potential surprises for 2019. These surprises ranged from the obvious — that debt levels are too high and global equities are overvalued — to the more controversial, like his argument that today’s markets closely resemble market conditions in 2001 and 2008, suggesting an imminent crash ahead. While the coming downturn may not quite reach the depths of the Global Financial Crisis, Yusko does think markets could drop by as much as 40-50 percent over the next few years. This dire forecast leads to an important question – what are investors to do? While not everyone at CAIS19 shares Yusko’s ultra-bearish view, there is a consensus that attractive investment opportunities still exist, if you know where to look. The combination of technological advances, geopolitical upheaval and unprecedented cultural shifts is reshaping the world. But while this constant disruption is a threat for some businesses, it presents an opportunity for other businesses, and therefore for investors. Here is a closer look at four areas where the CAIS19 panelists see attractive investment opportunities in 2019. One way to avoid short-term market volatility is to apply a longer-term lens to investing. This was the conclusion of a panel of geopolitical and private equity experts, including Rohitesh Dhawan (Eurasia Group), Cari Lodge (Commonfund Capital), Lord Malloch Brown (KCMG) and Christopher Zook (CAZ Investments). By ignoring the short-term noise in both markets and politics, investors can focus on value opportunities driven by long-term demographic and technological trends. The private equity industry with its more than $1 trillion in dry powder is ideally suited for taking advantage of these trends, especially given the growth of long-dated funds with investment periods extending beyond 10 years. Most panelists agreed that U.S. equities are overvalued, with stock prices for many sectors of the economy already at or near peak levels. In contrast, emerging markets are relatively underpriced, said a quartet of panelists, including Peter Fletcher (PHF Capital), Alexander Gorra (TRUXT Investimentos), Mark Roberts (Ironside Asset Advisors) and Parag Saxena (New Silk Route Partners). There are especially attractive opportunities in EM-based companies directly addressing social or environmental issues, such as the need for sustainable agriculture to feed rapidly growing populations. For investors, the most important thing to remember about investing in emerging and frontier economies is the need for thorough due diligence, which will help to both find the right companies and mitigate risk. Despite what was a difficult year for virtually all cryptocurrencies, many speakers at CAIS19 maintained a bullish tone. Yusko, one of the most vocal proponents of crypto and blockchain technology, made the point that the underlying infrastructure and value proposition for cryptocurrencies was still strong, even going so far as to claim that “Bitcoin will be a global reserve currency” and “the blockchain revolution represents the biggest wealth creation opportunity of our lifetimes.” Other panelists, such as Dominic Williams (DFINITY), Travis Kling (Ikigai Asset Management), Scott Kupor (Andreesen Horowitz) and Tom Serres (Animal Ventures), were also optimistic about the future prospects for both crypto and blockchain technology. While there was a lack of consensus about which cryptocurrency will eventually win out, speakers pointed to the many important technology developments and increased institutional adoption as evidence of the positive long-term case for digital assets. Therefore, investors should ignore recent price volatility and focus on the long-term investment thesis and the potential for transformational change. 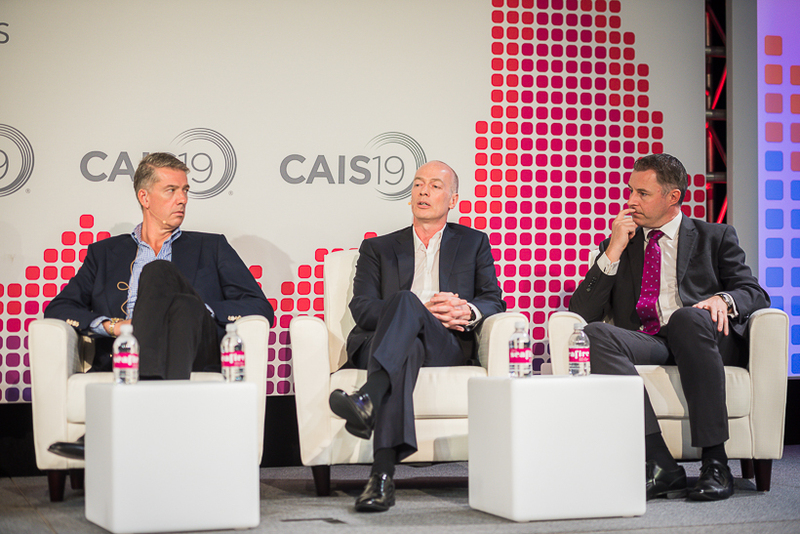 One of the recurring themes of CAIS19 was the importance — and the value — of a responsible approach to investing. While there is no single way to approach responsible investing (or ESG or impact investing), there was broad agreement among speakers that such an approach not only mitigated risk, but also offered the potential for outsized returns, thereby meeting the goal of “doing well by doing good.” The comments made throughout the day touched on the many ways in which responsible investing presents an opportunity for both the investment management industry and the world. Asha Mehta (Acadian Asset Management) spoke about the need to think holistically about investing by going beyond a focus on ‘G’ (Governance) to also incorporating the ‘E’ (Environment) and ‘S’ (Social). Anna-Marie Wascher (Flat World Partners) predicted that 2019 would be the year that ‘real’ money gets allocated to impact investments. Andrew Farnum (Gates Foundation) pointed to the growing demand for responsible investing among women and Millennials, and the coming $30 trillion wealth transfer. Giles Gunesekera (Global Impact Initiative) commented on how impact can be mapped back to the UN SDGs. Marisa Drew (Credit Suisse) said that different verticals within sustainability lend themselves to different asset classes. Mike Penrose (UNICEF UK) argued that a sustainable approach and commitment helps to attract talent, both for corporations and investment firms. Yusko ended his presentation by referencing a classic Yogi Berra quote: “Making predictions is hard, especially about the future.” Indeed, achieving investment success is hard precisely because the future is so uncertain. But even with global markets and geopolitics in a constant state of upheaval, there are still plenty of good investment opportunities to be found.